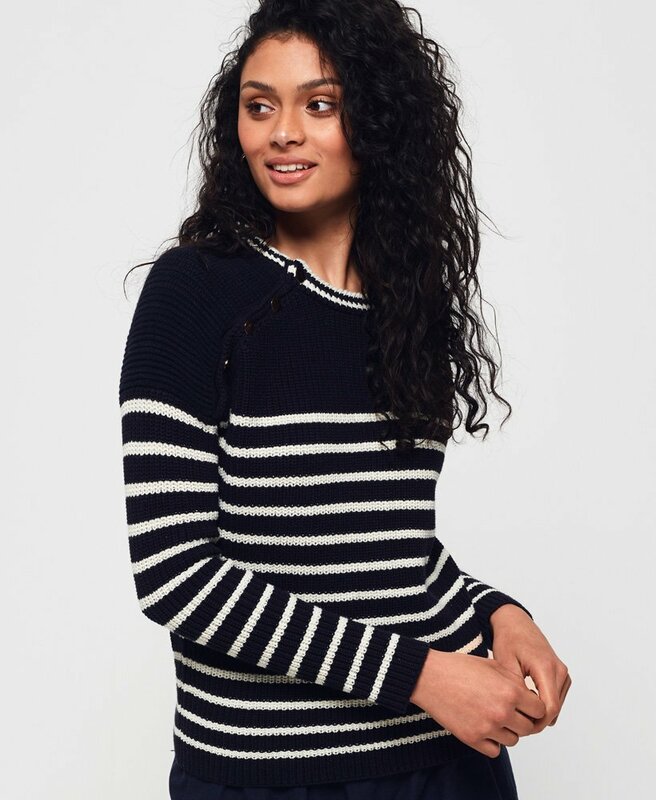 Superdry women's Saisie stripe buttoned jumper. This versatile knit jumper features an overall stripe design, button detailing at the shoulders and is completed with a logo tab on the hem. Pair with skinny jeans and trainers or a denim skirt and boots for easy, everyday looks.